The invention of smartphones has led to the development of numerous mobile apps that have simplified people’s life substantially. This has spiked the mobile app industry pertaining to the huge demand by consumers. There are multitudes of mobile apps being developed and companies are fighting out each other to create apps at a faster pace than others. More often than not, this leads to common unseen mistakes taking place. Is your app as per the user requirement? If you think that creating an interesting product is enough, you’re terribly mistaken. You must know everything about your target audience for whom you are developing it or else, your effort will result either in the product failing in the market, or, a significantly increased budget necessary for product development, promotion, and iteration. A successful mobile app must target the users’ demands and identify its nature at the initial stage of mobile app development. You can’t be sure what app features will be in demand in the future. Thus, it is not prudent to include all ideas in the very first version of the app. This only leads to an increase in the development time, overload the interface, and delay the real product launch. A better approach is to have a clear understanding of the app purpose and concept and so you can avoid burdening users with the necessity for complex functions. Avoiding ambiguity is imperative for developing any successful mobile app. Turning in a vague or superficial proposal might result in the detachment of your prospective client. If you forget to mention a certain thing in your initial app development brief, then it will be your responsibility to fix it should anything come up. 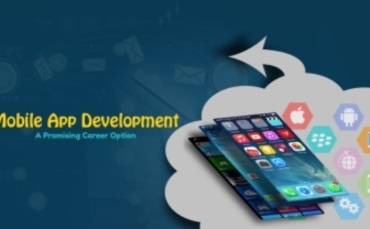 Your app development contract must state the version of the device and its OS support and you must set the clear estimate of the app development cost by breaking everything down appropriately considering the version, device, and operating system. Testing is a very important step in mobile app development and testing your app before releasing is imperative. This approach will offer you more chances to correct as many flaws as possible. As regular testing takes time and effort, due to which some customers skip this stage, but that may ultimately lead to even more serious issues. In conclusion, all the points mentioned above are the few common mistakes that are usually committed by a mobile application developer. Simply out, these are some of the best tips that help you facilitate your mobile app development process in a professional manner. In addition, hire the best mobile application developers of the best iOS and android app development company Dextrous Infosolutions to develop a good application at a budget-friendly price. The expeditiously growing urbanization has given way to online shopping resulting in a boom in the online market. 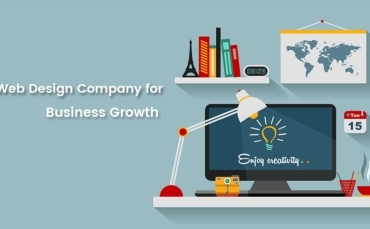 This has led to the emergence of a large number of e-commerce set-ups. Today every brick and mortar retailer, irrespective of their size, is trying to create an online presence with an e-commerce website. If launching an online store is something that you have on your mind, the primary step you need to take is to get a sturdy e-commerce platform for your website. What all is required to fortify your e-commerce store? First off, reflect on e-commerce web development company, which means to locate the best development team that can give practical and functional outputs. You must ascertain a professional e-commerce development company to assist you to create an excellent e-commerce online store. But given the fierce competition and a large number of options, finding the right e-commerce technology partner is tough. 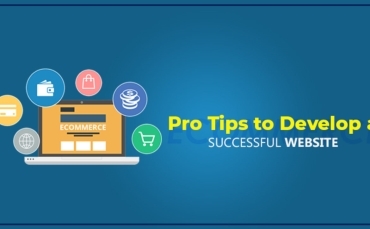 To make the decision-making process easier for you, here are some tips to pick a decent e-Commerce development company that can help you stay ahead of your competition. 1. Take a good look at their Portfolio – Experience makes one perfect! 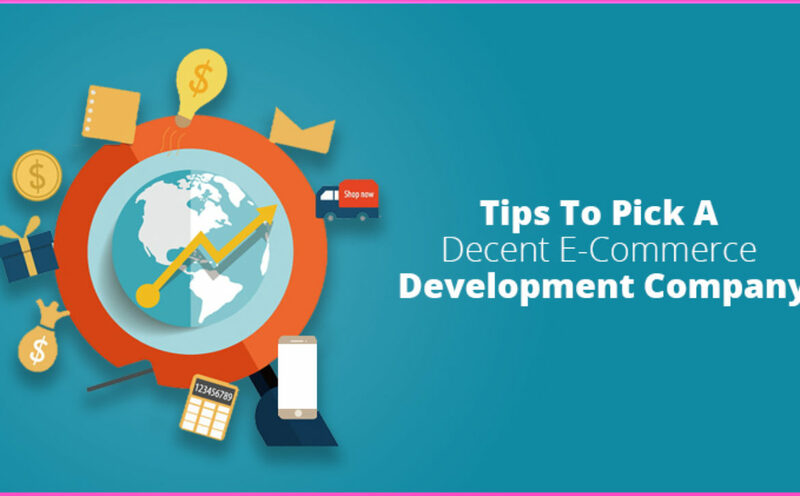 Before commencing discussions with an E-commerce development company, evaluate their portfolio and take a good look at what they have developed and delivered so far. It helps to choose an E-commerce web development company that has developed websites similar to your need. Don’t just look at the home page screenshots of the websites they feature in their portfolio but go to the websites and navigate through them. Take note of the elements you like and those you don’t. 2. Appropriate e-commerce platform – Before you proceed with the contract, make sure you have ample knowledge about the platform they are going to use for your store. In case you are not an expert in technology, it would be problematic for you to figure out which suits you the best. So ask your development partner to provide you with information about the features of popular platforms and go for the best one that is in line with the purpose of your web store. 3. Communication between Client and Developer – Proper and timely interaction is critical between the client and the development team. Even if the development firm is far from you, make sure they communicate efficiently using tools like Skype, Google Talk, Facebook, or other such communication tools. Remember that many e-commerce development agencies falter where a competent and adequate communication process is concerned leading to misinterpretation of business goals. 4. Timeframes and Deadlines – In Business, time is money! So, deadlines would be another factor important to you while deciding a development partner If you are in haste to go live with your E-commerce portal and need a development company who can deliver one as fast as possible. It’s best to ensure that the hired developers will be able to accomplish the website within specified timeframes and provide you with a complete product by the fixed date. 5. Estimation of development cost – Every Business has a budget allocated for any investment they make into their business. It would be appropriate for you to discuss the cost of your e-commerce development project with the firm and make sure it suits your budget. Before you finalize the deal, discuss the budget with the web development company to save yourself from spending money on hidden development arrangements. Hopefully, these tips will come in handy when you commence your search for the perfect e-commerce technology partner and help you hire the best one. With the expansion of the global marketplace, everybody seems to be in a rush to have an online presence. 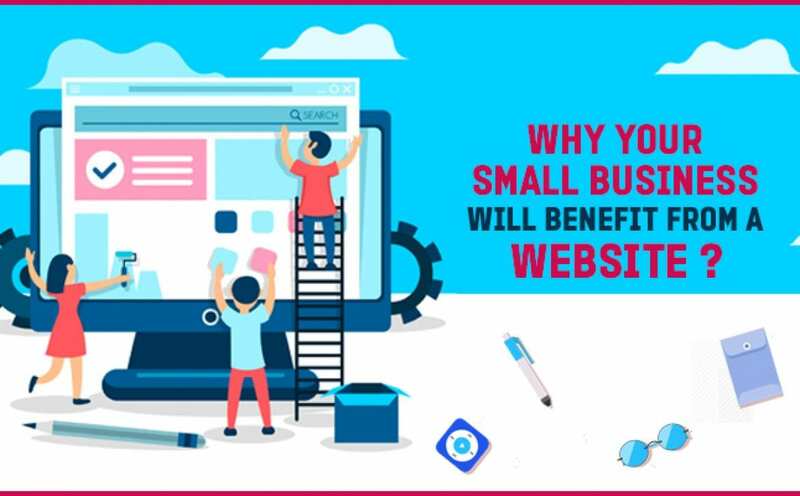 Everyone wants to have a website that is beautifully designed website that not only attracts visitors but also magnetizes them to stay longer and explore the site for some more time. However, it turns out that this is something surprisingly hard and the Internet is literally overflowing with lousy websites that are not up to the mark where technical and content aspects are concerned. The key to an optimized, interactive, and functional website is actually quite simple if we understand the underlying rules of good development and follow them. So if you want to have an amazing website then here are a few tips that you might want to check out. 1. Pay attention to the loading time – The common Internet users are highly impatient and won’t stay on a webpage for any longer than 5 seconds if it fails to respond. This explains how important is it to have a fast loading website. A website development company should use tools like Pingdom or Pagespeed Insights that can help gauge the speed of a website and device a strategy to improve it. 2. SEO Savvy – You can’t make a bigger mistake than underestimating the power of an SEO friendly website. Good SEO techniques are vital to attracting visitors to your website and to get your website placed high in search engine rankings. Good and compelling content is a must for a great website and is the best tool for SEO optimization. 3. It has to be mobile friendly – Smartphones and devices have the largest user base when it comes to surfing the Internet. Checking stuff on-the-go is the latest trend and is going to stay so for quite some time. So don’t shy away from developing an engaging website that is mobile friendly and can be accessed by your users whenever they want to. 4. Leverage the power of Social Media – An important part of web development is using the social media for promotion. Social media platforms like Twitter, Instagram, Facebook, YouTube, are being increasingly used by the internet-users and so it is quite relevant to integrate these social media platforms within your website. Not only will it broaden the reach of your website but will also attract traffic by increasing visibility. 5. Incorporate CMS – The power of the written word is not just limited to your web content. In order to attain a long-term digital marketing momentum, you must keep publishing fresh and readable content that catches the fancy of your audience and successfully engages them. Your clients will surely be thankful to you for including a back-end Content Management system which will help them in posting and editing content on their website according to their requirement. 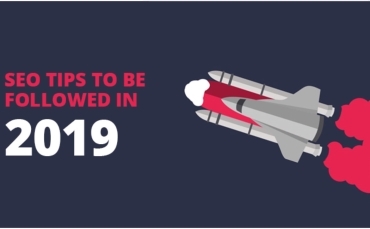 These tips will not only help you attain the most valuable online renovation of your website but will also help you develop futuristic and functional websites in future. Dextrous is one such responsive website development company that will optimize your website making it more user-friendly and promise better ROI for you.